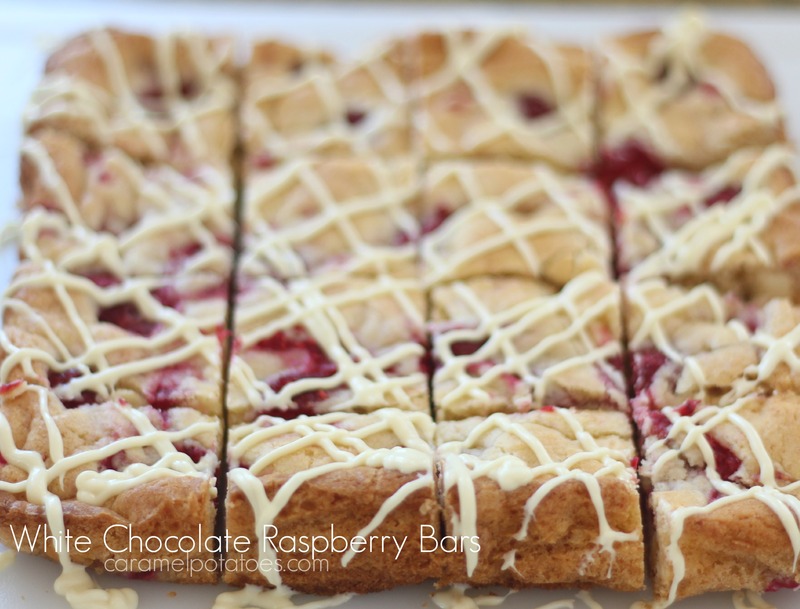 Raspberry and White Chocolate are such a beautiful and yummy combination. 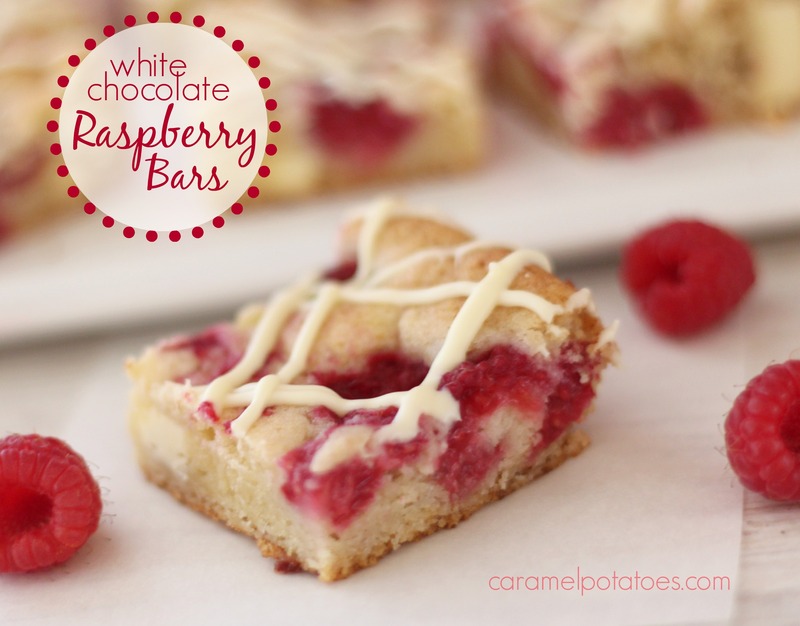 These simple White Chocolate Raspberry Bars are a sweet, creamy combination of the two in a brownie-like bar. Take them to your next summer picnic or to a holiday buffet – you just can’t go wrong with this sweet cookie! Heat oven to 375. Line an 8 inch square pan with foil and then lightly coat the foil with baking spray. Whisk flour, baking powder, and salt together in a small bowl. Roughly chop 3 ounces of the white chocolate and microwave in a bowl at 50 percent power, stirring often, until melted, about 1 minute. Chop remaining 3 ounces chocolate into 1/2 inch pieces. Using a stand mixer, beat butter and 1/2 cup sugar on medium-high speed until fluffy, abut 3 minutes. Add egg and vanilla and beat until combined. Add melted chocolate and mix until incorporated, about 30 seconds. Reduce speed to low and slowly add flour mixture until combined, about 45 seconds. Stir in all but 2 tablespoons chopped chocolate. Transfer batter to prepared pan and spread into an even layer. Toss raspberries in remaining 2 teaspoons sugar to coat and gently press into batter, spacing evenly apart. Bake until edges are puffed and golden and toothpick inserted in center comes out with few moist crumbs attached, 25 to 35 minutes. Let bars cool in pan on wire rack for 2 hours. Using the foil, lift bars out of pan. Microwave reserved 2 tablespoons chocolate in bowl at 50 percent power, stirring occasionally, until melted, about 45 seconds. Drizzle melted chocolate over entire surface of bars. Cut into 16 pieces and let chocolate set, abut 30 minutes. The recipe ingredient list says “1/4 cup…” sugar, but the directions say to use 1/2 cup to mix with butter. Which is correct? Thanks for the Save Catherine. It has been corrected in the ingredients to 1/2 cup. Sorry for the typo!